Ore Premium Cigars founder, Trey Ore, was raised in Virginia Beach where he learned that if you do something you love, you will never work a day in your life. Years ago, while in the Caribbean, he was offered his very first, high-end cigar, and from that moment on...Trey was hooked. 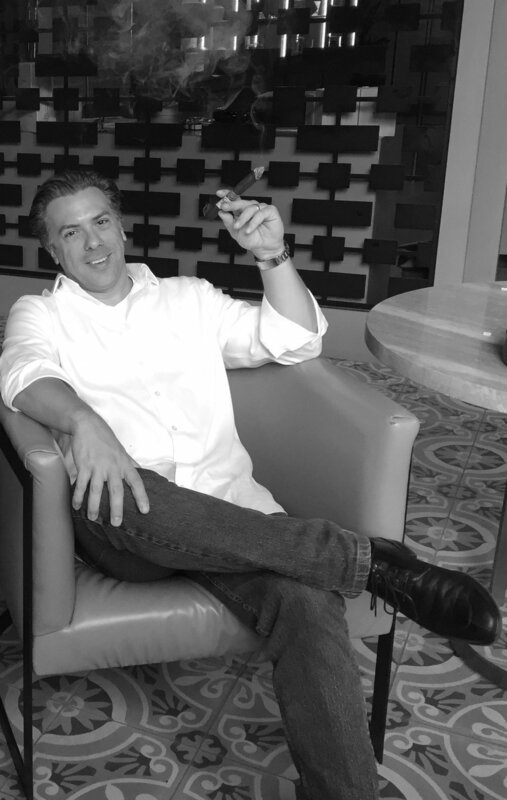 "There's something about a good cigar that allows you to take time to be in the moment. You can't rush a great cigar. The moment you light it, you have decided to enjoy the next hour." We have the saying at Ore Cigars "WHY NOT?" There are so many cigar options in the world. "WHY NOT" give ours a try? Our cigars are a Dominican and Nicaragua blend, hand-rolled in the United States by a former Master Roller under Padron in Cuba. Give Us a Try....WHY NOT? "WHY NOT" give an Ore Cigar a try? After years of working on the perfect blended cigar for beginners, novice, and the aficionado, Trey has found that the Ore Cigar can be just that. Using a special blend of Dominican and Nicaraguan tobacco together we have found a cigar for just about anyone. The Connecticut Ore Cigar is for person looking to enjoy a smooth, slightly sweet smoke. The Ecuadorian Maduro Ore Cigar provides a slightly bolder taste--both have been getting RAVE reviews.